Emily has always loved being in the water and starting windsurfing in the water at 3 years old. Emily's passion grew stronger as she got older and as she started to competing at the age of 11, the sport fuelled her to challenge herself further. Windsurfing is Emily's main sport and her main achievements include achieving 3rd in the under 15s Girl Techno 293 World Championships in 2011 and 7th in the under 20s Girl IFCA Slalom World Champs in 2017. 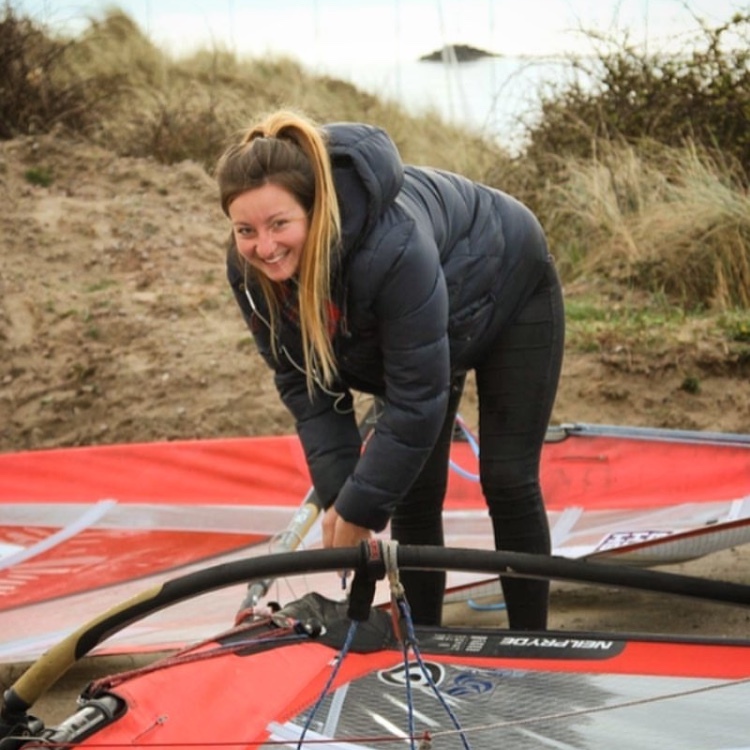 Emily has competed in course racing, slalom and freestyle, and recently she has started to windsurf hydro foiling which is amazing and she is completely addicted. Alongside her sport, Emily is dedicated to a career in Sports Science. She is in her 2nd year at the University of Exeter’ studying Sport and Exercise Science. Her course is perfect for her and enhances her knowledge and understanding of sports and the impact it can have on both mind and body. Emily is also inspired to help others to improve and enjoy their windsurfing. She is an RYA Zone coach for the SSW, which she loves being a part of! Emily's Freedom: Being in the water and having a lifetime of adventures.